Department of Energy and Technology, Swedish University of Agricultural Sciences, Uppsala, Sweden. 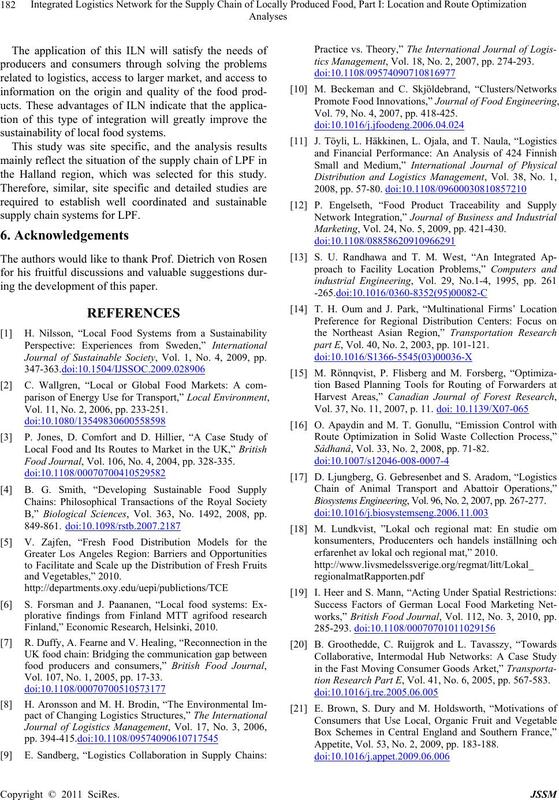 Received March 14th, 2011; revised May 3rd, 2011; accepted May 7th, 2011.
and this could increase the sustainability of local food system. assess the possible constraints . geographical area and also distributed within the country. the use of packaging materials. Vinnova research and innovation for sustainable growth. operating in marketing schemes . of LPF using an integrated approach. port , to reduce operational costs, and emissions. pete with the big retail chains . technology (IT) system as shown in Figure 1.
into the large scale food distribution centre. recommendations for future research have been given. and 11˚27'37"E and13˚42'08"E longitude (see Figure 2). producers, delivery points, CC and DC. Data was collected through question n aires and interviews. mation on product distribution. Some of these data (e.g. and reported in the part II of this paper. Table 1. Producers, their production quantity and number of delivery points. nual production quantity was considered as load value. the LPF are to be transported to distribution centre (DC). played on the map (see Figure 2). 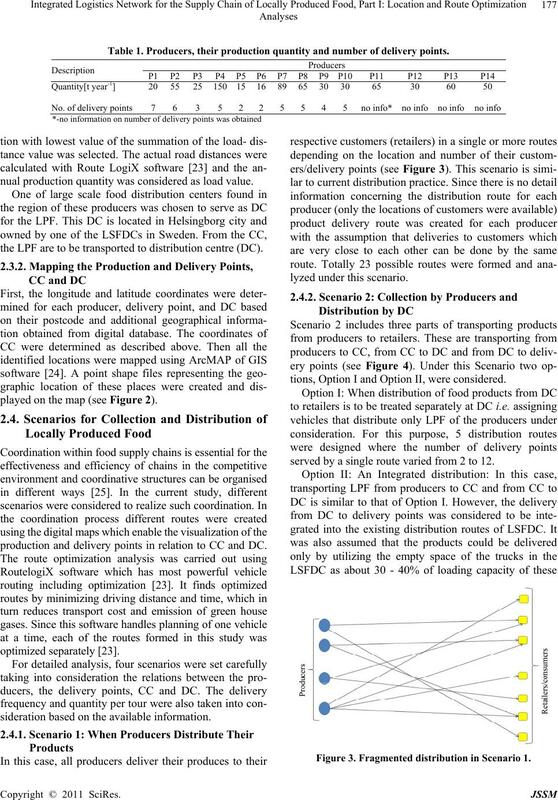 production and delivery points in relation to CC and DC. optimized separat el y .
sideration based on the available information. tions, Option I and Option II, were considered. served by a single route varied from 2 to 12. Figure 3. Fragmented distri bution in Sc e nario 1.
bution for Scenario 2 (Option I). tion for Scenario 3 (Option I). be used for further distribution from DC. 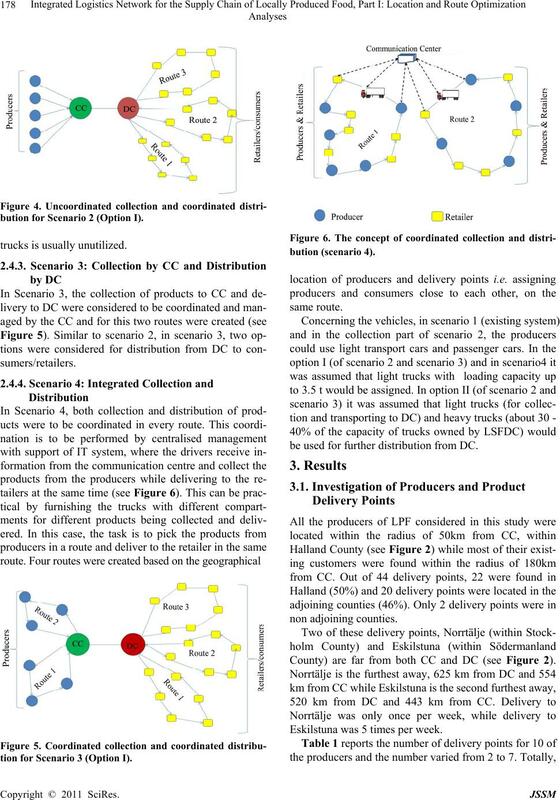 County) are far from both CC and DC (see Figure 2). Eskilstuna was 5 times per week. year with mean value of 50 tons per year. cooperating with other producers (16%) (see Figure 7). dinates of 56˚ 55'15"N latitude and 12˚34'15"E longitude. Helsingborg city , about 2 08 k m away from CC. was 6159 km while total driving time was about 69 hr. were 519 km and 6 hr and 26 min. Figure 7. Means of transporting LPF in the current practice. and time for the 5 routes were about 3047 km and 34 hr. km while the time varied from 1 hr and 27 min to 14 hr. Collection route, (b) Distribution route. Table 2. 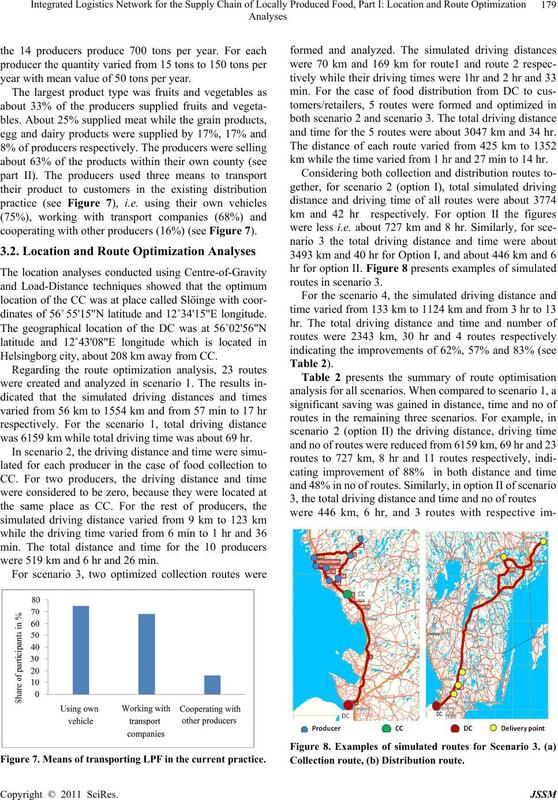 Summary of route optimization analysis. provement of 93%, 91% and 87%. improvement of 93%, 91% and 87%. considerably throughou t the year. tity the location of optimum CC might change. 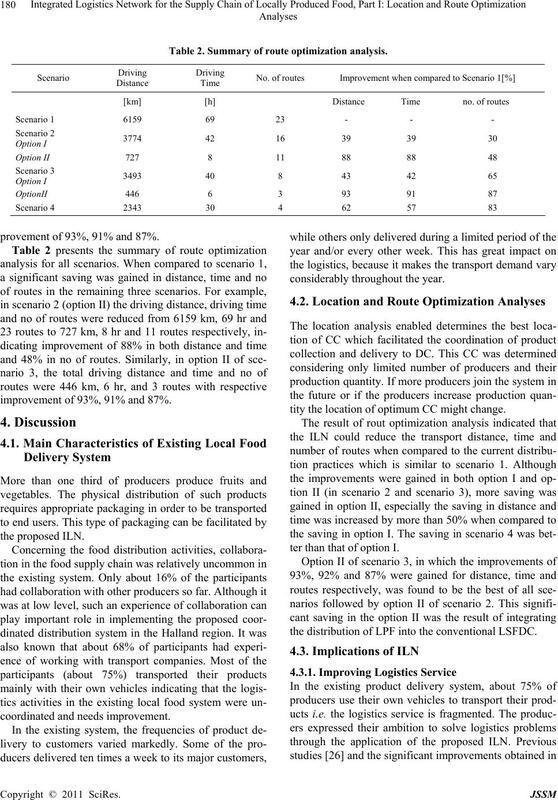 ter than that of option I.
the distribution of LPF into the conventional LSFDC. and this should be investigated further. reach the consumers in the other counties. of the producers to expand their sales. food origin and how it is handled and transported . tion at the right time. 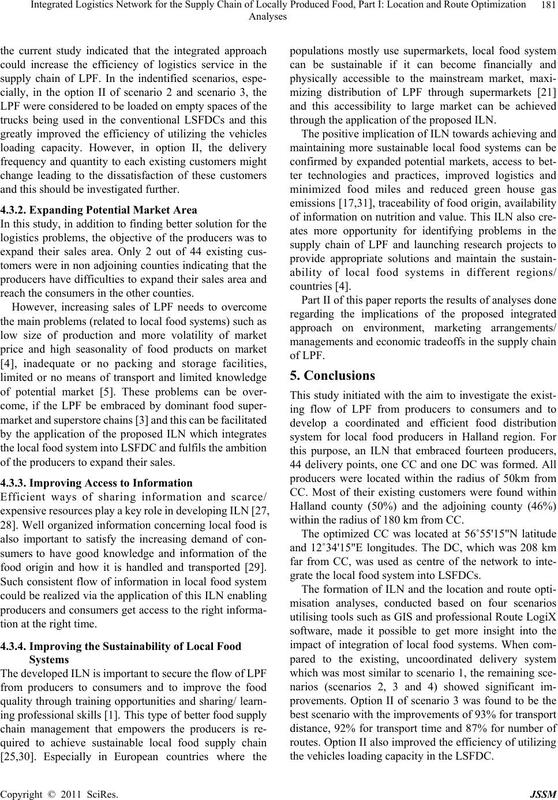 through the app lication of the proposed ILN. within the radius of 180 km from CC. grate the local food system into LSFDCs. the vehicles loading capacity in the LSFDC. sustainability of local food systems. the Halland region, which was selected for this study. 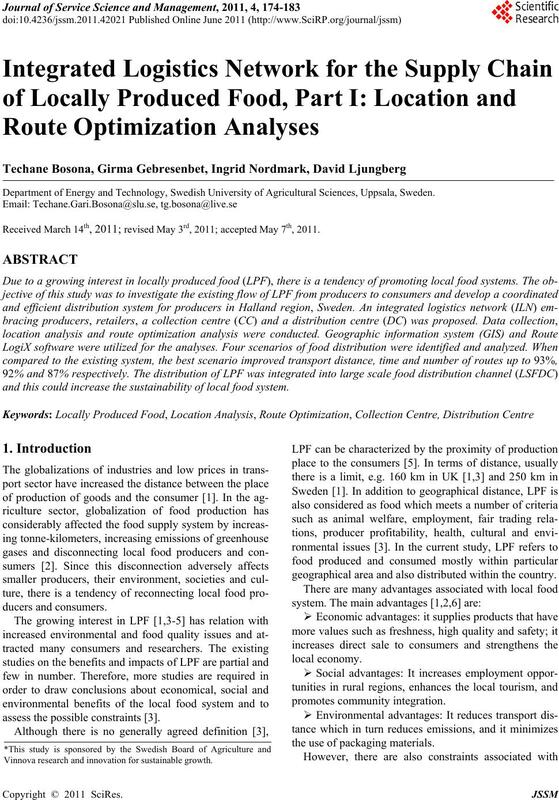 supply chain systems for LPF. ing the development of this paper. Journal of Sustainable Society, Vol. 1, No. 4, 2009, pp. Vol. 11, No. 2, 2006, pp. 233-251. Food Journal, Vol. 106, No. 4, 2004, pp. 328-335. B,” Biological Sciences, Vol. 363, No. 1492, 2008, pp. Finland,” Economic Research, Helsinki, 2010. Vol. 107, No. 1, 2005, pp. 17-33.
tics Management, Vol. 18, No. 2, 2007, pp. 274-293. Vol. 79, No. 4, 2007, pp. 418-425. Marketing, Vol. 24, No. 5, 2009, pp. 421-430.
part E, Vol. 40, No. 2, 2003, pp. 101-121. Sâdhanâ, Vol. 33, No. 2, 2008, pp. 71-82. Biosystems Engineer ing, Vol. 96, No. 2, 2007, pp . 267-277.
erfarenhet av lokal och regional mat,” 2010.
works,” British Food Journal, Vol. 112, No. 3, 2010, pp. tion Research Part E, Vol. 41, No. 6, 2005, pp. 567-583. Appetite, Vol. 53, No. 2, 2009, pp. 183-188. Planning Software Ltd., Halesowen, 2004. No. 2, 2008, pp. 189-205. Vol. 100, No. 2, 2008, pp. 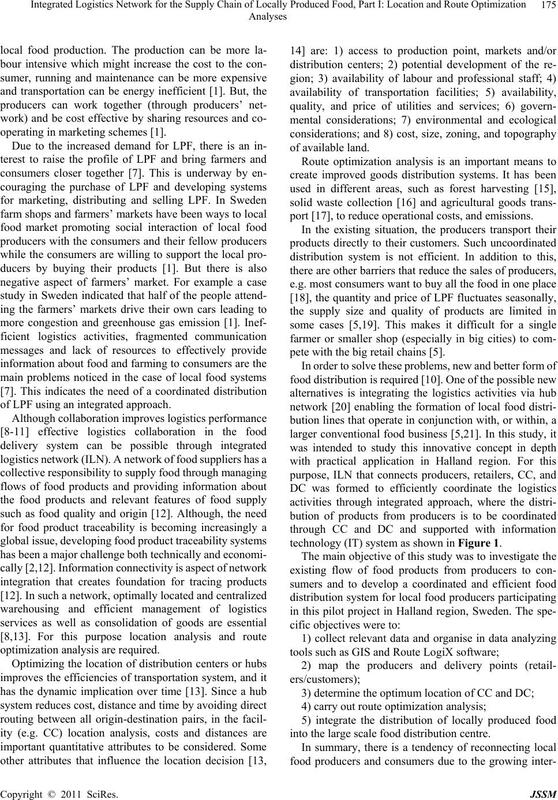 218-235.
and Logistics Management, Vol. 36, No. 3, 2006, pp. of Logistics Man ageme nt, Vo l. 20 , N o. 1, 20 0 9, pp . 144-162. Traceability Solutions,” Food Origins, Illinois, 2003. 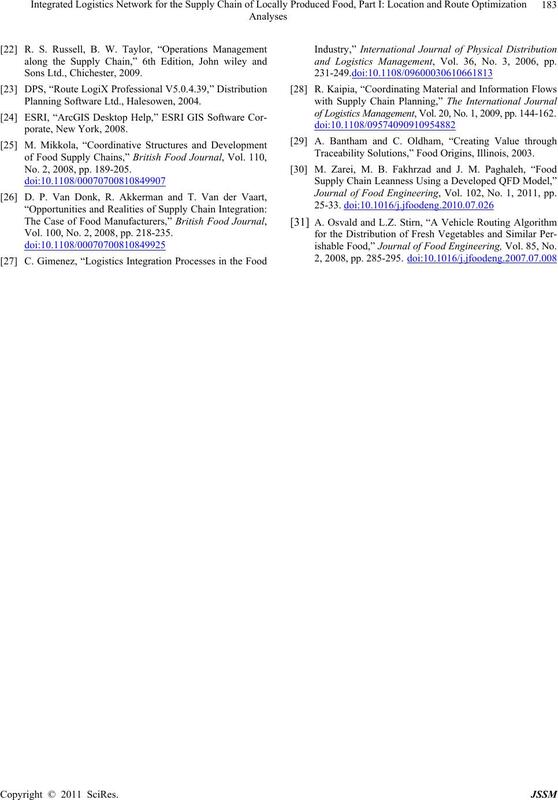 Journal of Food Engineering, Vol. 102, No. 1, 2011, pp. 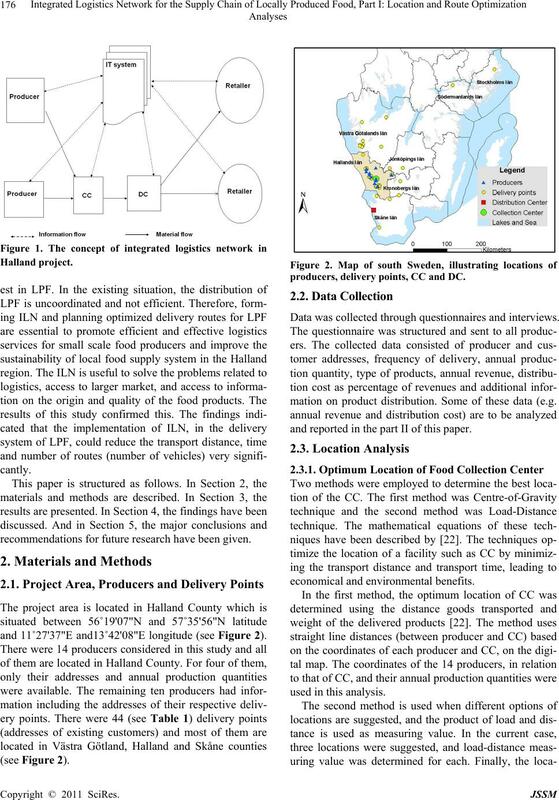 ishable Food,” Journal of Food Engineering, Vol. 85, No.